Genre/Influences: IDM, dark & minimal electronics, experimental. Content: Dejan Samardzic (music) and Daniel Myer (music & vocals) aren’t exactly releasing Haujobb releases on regular basis so each new studio album remains a cool surprise. The legendary German formation, which invented their very own sound and style is back on track unleashing a new opus of 11 songs. The fans of the band will for sure have discovered one of the songs (cf. “Input Error“) on the same-titled EP. This song is a real good reference to get an idea about the new stuff. 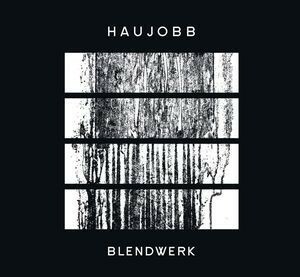 Haujobb remains a very unique band in the genre dealing with a minimal format of electronics, which appears to be in between dark-electronics and IDM. The sounds are sophisticated while the structures remain complex. It all results in a brilliant and intelligent piece of modern electronics. This band hasn’t lost its initial spirit to innovate and take their audience by surprise. It’s hard to say if “Blendwerk” is one of the best releases ever. I suppose most of the die-hard fans will look back to their early work (cf. “Eye Over You” and “Frames”), but I consider this work as one of their strongest releases of the last decade. There still is this sterile kind of astral electronic sound, which is composed by alluring vintage sound sculptures, but I especially enjoy the more danceable and harder aspect of this release. The vintage treatments sometimes remind me to another great musician and lover of analogue material (Gin Devo) although the styles are pretty different. Haujobb is exploring the hidden secrets of IDM while getting back to some industrial treatments as well. Some passages move into pure experimentalism, but that’s an element Haujobb always has liked to explore. So in the end I noticed that this work sounds pretty diversified. The sound of Haujobb has never been predictable, which once more remains one of their main forces. 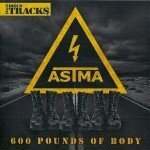 You now hear a rather bombastic and astral-like electro cut driven by a slow cadence while the next song explores heavier fields carried by a harder kick. The sound of Haujobb remains hard to grasp, but is always fascinating. There’s no compromise, and always a touch of innovation. 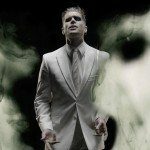 I’ve been fully seduced by the “Perfection”-song, which appears to be a prophetic title to define the work of this band. Other noticeable cuts are “Failures”, “Destroy” and “Input Error”. A last and very personal note is about the vocals’ production. I’ve never been a great fan of Daniel Myer as a vocalist, but this album sounds different. There’s a perfect balance between music and vocals, which is an extra element making this album absolutely essential. Conclusion: Haujobb confirms their status of creative and innovating electro band. “Blendwerk” is one of the major releases of 2015! Best songs: “Perfection”, “Failures”, “Destroy”, “Input Error”, “Little Miss Danger”, “Produkt”.